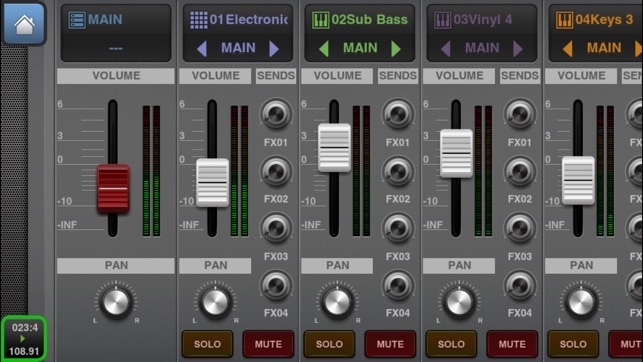 BeatMaker 2: Advanced mobile music workstation. 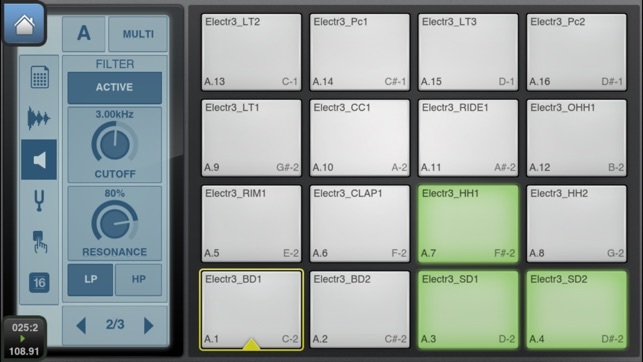 Build your own virtual home-studio, create multiple instruments and connect them to a full-range of audio effects. 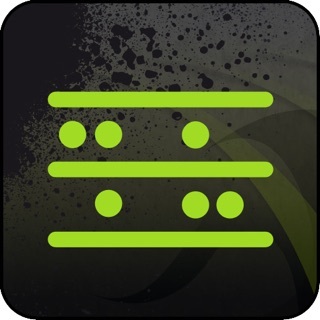 Compose, record, arrange and transform your ideas into complete songs, ready to be shared with others. Import your own sounds or use the sound library provided: more than 170 high-quality instrument and drum presets from synthesizers to realistic orchestral sounds. You can even import songs from your iPod library! Connect your MIDI accessories for an external control of BeatMaker's instruments, effects and mixer, ideal for home-studio productions and live performances. Compatible with audio interfaces with the Camera Kit (iPad only). Works on all iPhone, iPod and iPad models starting with third generation devices (iPhone3GS, iPod3G 32GB, iPhone 4/4S/5, all iPads). - CoreMIDI support: connect your MIDI accessories to control instruments, effects and mixer. - "Live" modes: trigger, mute, reverse, velocity and tune spreading. 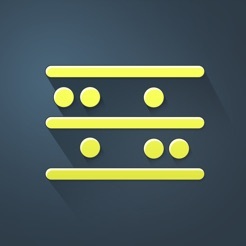 - Compose and modify patterns with a piano-roll interface. Edit notes, parameters and automations. - Instrument and effect recording options: Quantize, take or partial undo, pre-roll, Overdub, note erasing. Back in business. The MPC is like what a tape player is to an iPod now lol. 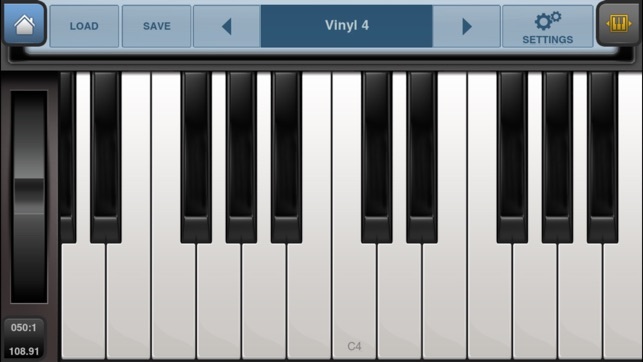 Beatmaker 2 is the 💩. 65GB's of sounds on my iPhone now on my 128GB. Hands down the best DAW. Just needs a way to hook up to a external hard drive or make a desktop version. Those that are complaining about factory sounds are idiots. Import your own sounds with FileZilla and the world awaits on your creativity. I'm laughing at those idiots that can't use simple software or watch tutorials to learn. You get what you put in and that goes for life. 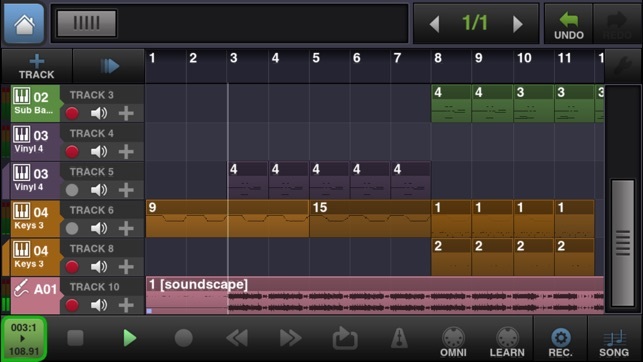 Totally dissatisfied with the wait of the BeatMaker 3 release date for the iPhone version. I now have a 256gb IPhone 8 Plus and feel so behind because I won’t buy a iPad just for one particular app. INTUA should not give dates to customers and not stand by it. I’m not going to lower the 5 star rating on bm2 because of this but not everyone wants to use a iPad to make music with as portability and the developers should’ve put more time into the iPhone version being that the iPad version has been out for so long. Truly disappointed. When are you going to fix the issue with The use of Dropbox?! It still doesn't work. Both BeatMaker 2 and 3 doesn't work at all. If you did fix the problem, it must apply to all higher than iPad 2, fourth generation. Every time I try to import my folders and files into BeatMaker 2 it just switches to the Dropbox app to the allow screen and when I press allow,it switches back to BeatMaker 2 App and the Dropbox column never shows up anymore like it use to before the release of BeatMaker 3. The BeatMaker 3 App just never loads up at all so I can import my folders and files. The square icon just does the glow animation and never loads up at all. 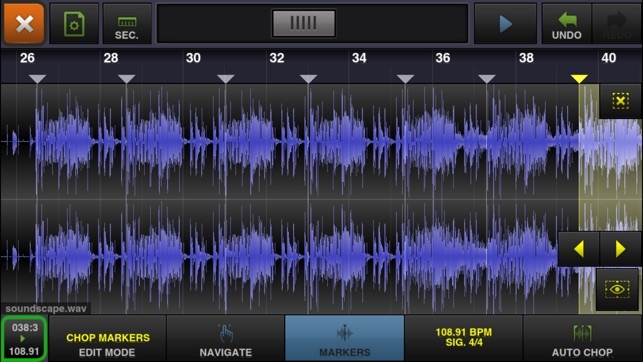 Why I liked these apps was because I would make my samples on my computer software Acid Pro 7, then send my samples to Dropbox, then import them into BeatMaker app and make my projects. Now I can't do that anymore because the Dropbox feature is still not working. I'm sure it must work for iPad Pro users, but I don't have a Pro yet. Can you please fix this problem for iPad 2, fourth generation use please? BM2 is this best DAW in the App Store for Hip-Hop/Rap & Trap production. Interested to see what BM3 will be. Been a rapper for years but started causal production about a year ago to become more self sufficient and stop trying to find people who have studios or make beats(which if you've been in my position you know how much a headache that is🤕)invested over $1500 in a laptop,FL Studio 12,Studio One and an entire home studio set up. Felt overwhelmed and this hindered my creativity. Life happened and I had to sell my keyboard and laptop but in that time came up on a iPad Pro and purchased every major DAW in the App Store(Auria,Cubasis,FLM3,GB & BM2) for a fraction of the price of any major computer DAW(btw) and find myself making more music at higher quality in BM2 & GB(GarageBand being more limiting) on the iPad than I was on my laptop with over $1000 worth of programs.